Both my parents were immigrants. They left their homelands for two of the most common causes of emigration: my Irish mother for economic reasons and my Polish father in the aftermath of the second world war. Theirs were very typical stories in Europe during the 1930s and 40s. Being an immigrant family brought some very particular experiences: the negative ones, included a sense of not quite belonging, of being different and also some instances of blatant racism. My next experience of immigration was even more direct. In 1998, I met Sterling whilst on holiday in the US. Within three and a half months we were married and I moved to America. I didn’t really think of myself as an immigrant, but that was what I was. Attitudes towards me were invariably positive, maybe because I’m white skinned, maybe because English is my first language and I have an English accent. Fairly early on, I was left in no doubt about the extent to which these factors mattered when I interrupted a colleague’s tirade against immigrants with the observation that I was one, only to be assured that I was a “good immigrant”. The subtext in this instance was, not Mexican. The official language of immigration is telling in itself. These last years, I have been an Alien with an Alien Registration Number. Now admittedly, I have detected a green tinge about the gills when I’ve looked in the mirror a couple of times but who’s to say whether this is cause or effect? The process I have just gone through is known as naturalization: antonyms of natural that immediately come to mind for me include abnormal and foreign. I’m not suggesting that the US is that different than other countries in these regards but I somehow expect something else from a country built on immigration: the entire population, save American Indians, is descended from immigrants. 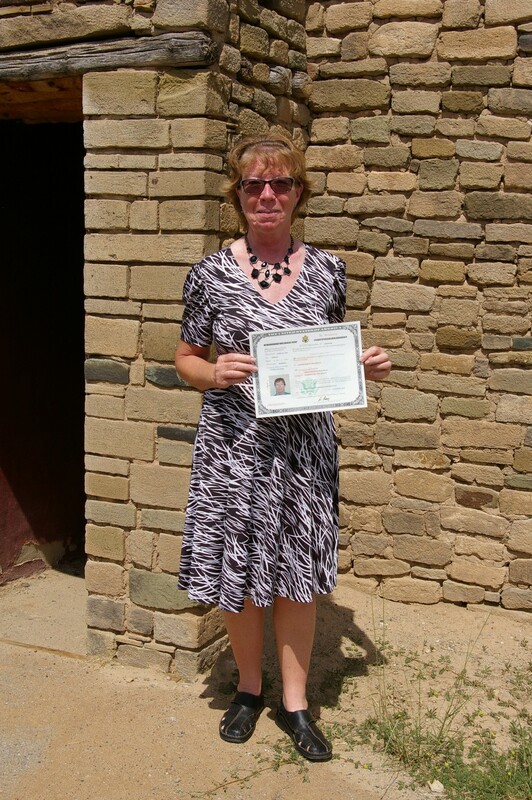 I finally completed the transition from Alien to naturalized citizen on Saturday the 27th August. While my status has changed, I’m still an immigrant, the difference being that I can now vote and also apply for federal jobs. Here’s a very quick overview of the process as it’s been for me. In 2012, Sterling and I planned to move back to the US and I applied for a Permanent Resident Visa or Green Card through the embassy in London. 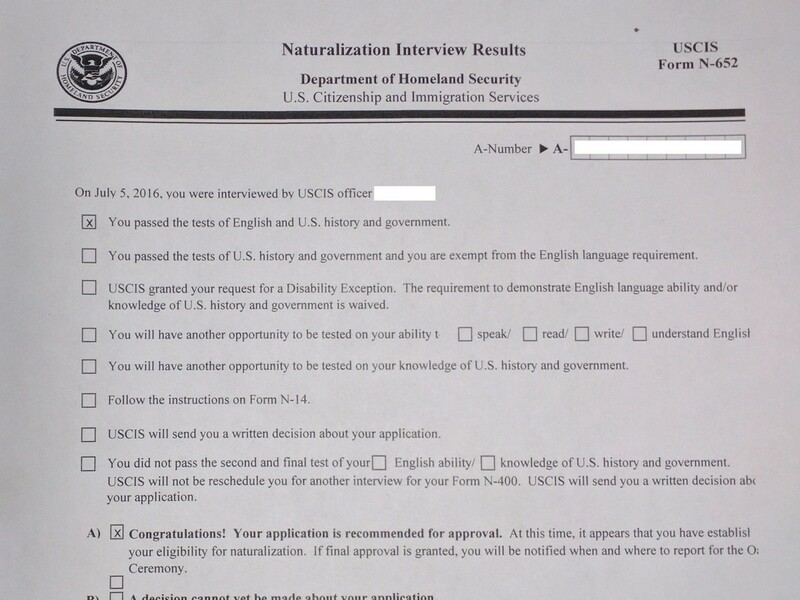 My application was initially refused as they required further proof of our intention to settle in the US, since I had allowed my first visa to expire. A number of nail-biting weeks followed as we waited for them to assess the material we submitted. My visa arrived and we breathed a huge sigh of relief. The photo is of me holding my Green Card before handing it in on the day of the Naturalization ceremony. As someone married to an American, I was eligible to apply for citizenship after I’d been living in the US for three years. The only caveat was that I had to have lived in the same state for at least three months before I could apply. 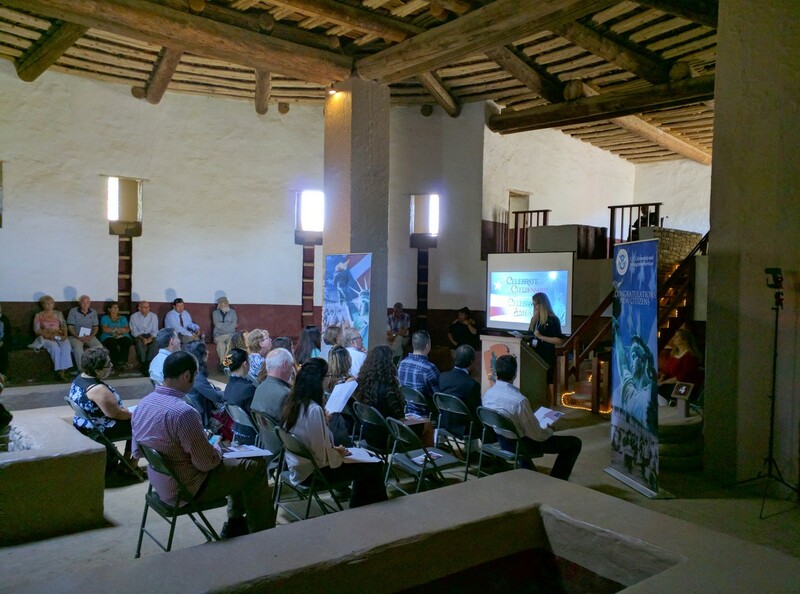 In October of 2015 we came to Aztec, New Mexico for me to volunteer at the National Monument. Circumstances around our medical insurance convinced us to move our official domicile to New Mexico. 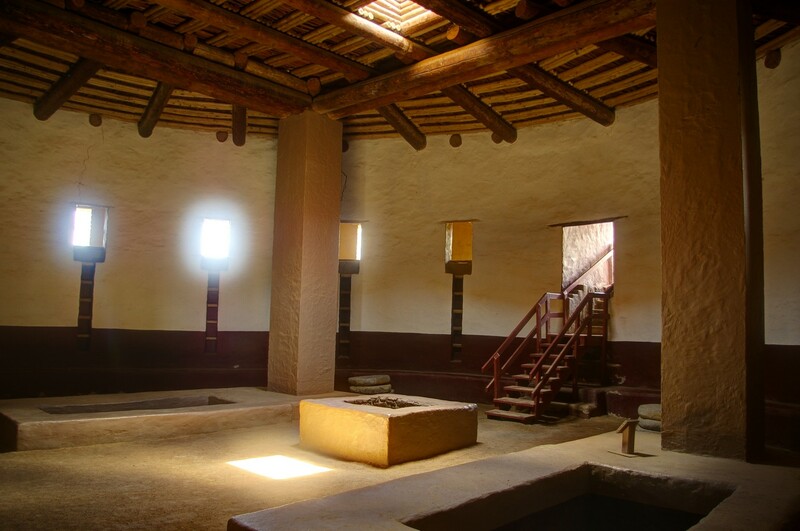 For other reasons, we extended my stay at Aztec Ruins and we suddenly realised that I could meet the condition of residency and so I applied. When I first arrived at Aztec I was purely interested in volunteering but as the time went on I realised that there was some considerable appeal to the idea of being employed as a ranger. Becoming a citizen would also allow me to apply for positions within the National Park Service, a very attractive side effect. I submitted my application in March of 2016 and we settled in for a long wait: US Citizenship and Immigration Services (USCIS) are not known for speed. The first step would be what is known as a biometrics appointment - fingerprints and face recognition photography. The date, in Albuquerque, came very quickly and coincided with Sterling going to Google I/O, so I set off on the 900 mile round trip on my own. The next step would be an interview and a verbal test on the history, constitution, government and geography of the USA. An appointment came through much faster than we expected, so fast in fact that I missed it! I applied for a second date and this time it meant leaving Pipe Spring, where I was then volunteering, a few days earlier than originally planned. 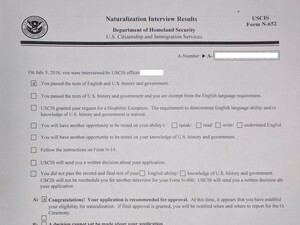 Sterling had been repeatedly testing me on the 100 possible questions I could be asked and I felt reasonably confident, that is until the night before the interview when I suddenly got it into my head that USCIS would make an issue of the fact that I was a full-time RVer and refuse my application. What grounds did I have for this assumption? None, but then anxiety isn’t always rational. I left the interview with a smile on my face. 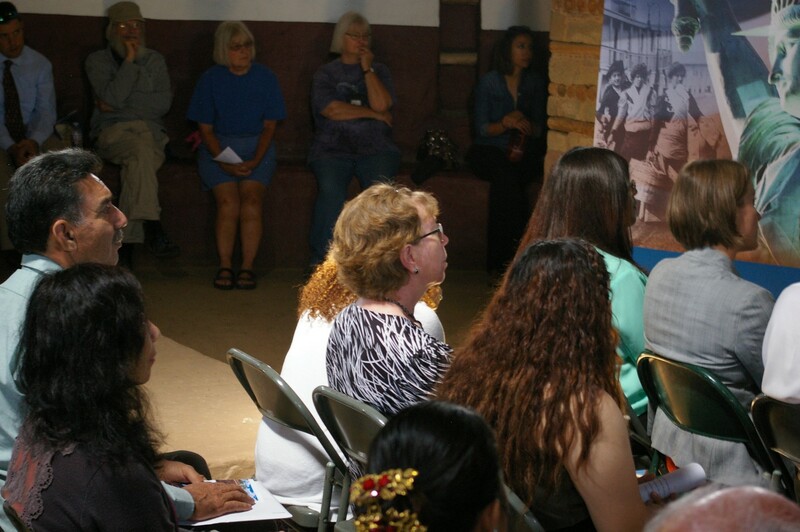 I had just one more hurdle: a Naturalization Ceremony where I would take the Oath of Allegiance. From Albuquerque, we stopped at Aztec to see folks. They got a bee in their collective bonnet about having a Naturalization Ceremony in the Great Kiva at the National Monument and having me be one of the participants. They started the ball rolling but within a few days I had an invitation to a ceremony in Albuquerque on the 22nd July. 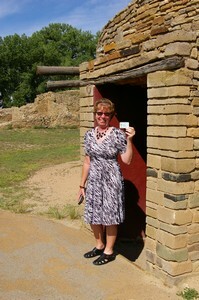 We were delighted although it meant giving up the chance of taking the oath at Aztec Ruins. On the 20th, on our way to Albuquerque, we stopped to pick up mail to find a letter cancelling my attendance, no explanation given, and so the first nose dive of the roller-coaster ride began. There were various other twists in this saga over the next month or so but cutting to the chase, Aztec Ruins National Monument hosted a ceremony on the 27th August, as part of the NPS Centennial celebrations, and due to their efforts I was there. I cannot thank them enough for all the energy they put into making this happen. 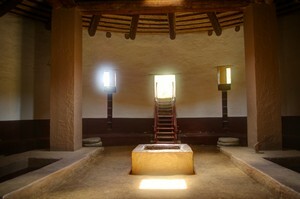 The ceremony was held in the reconstructed Great Kiva. It’s a fantastic space and in many ways is the heart of the site. Taking my oath there was so much more meaningful than it would have been in an impersonal room in a court building somewhere. I felt overwhelmed when I found out that the Aztec Interp staff had managed to pull all this together: they even managed to get me moved from another ceremony date to theirs by some magic that I don’t claim to begin to understand. I can only say that while I did shed a tear or two during the ceremony, I didn’t disgrace myself and Sterling admits that he was also very emotional. The ceremony was a very solemn occasion including the Posting of the Colors, the singing of the national anthem as well as the swearing of the Oath of Allegiance and the taking of the Pledge of Allegiance. There was however, one moment of great levity for me and I suspect for the one other British person in our number. A lone trumpeter stood to play and in what felt like a totally surreal moment the notes of the British national anthem filled the air. For a few seconds, I could just make no sense of it: was I imagining things, was this an unconscious reluctance on my part to give up my former allegiance to queen and country, were they going to play everyone’s old national anthems as some kind of rite of passage? But no, a quick look at the program revealed that this was a rendition of the patriotic American song “My Country Tis of Thee”. The old and the new melding in more ways than one! All content herein copyright © 2002 and beyond Teresa Petrykowski and Sterling Udell.